Bad Goat wood is ideal for timber-framed sheds. We custom mill beam packages for each shed and use mortice and tenon joinery to build rock solid structures that will last a lifetime. 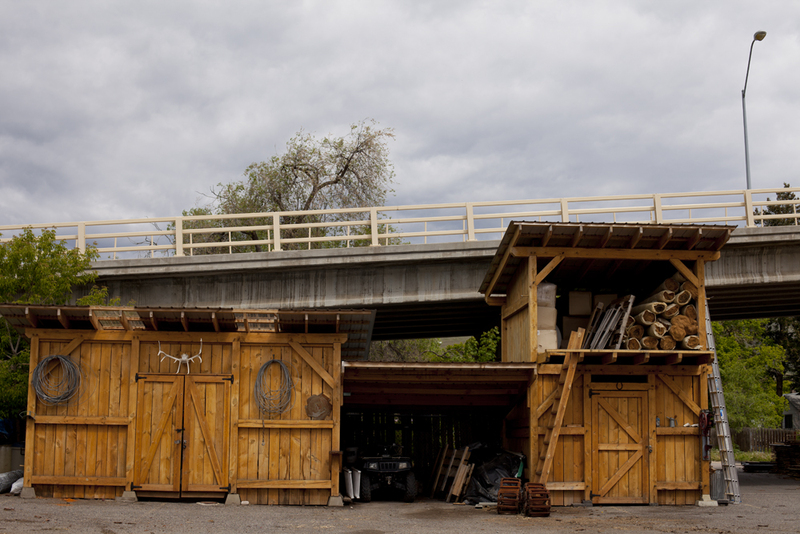 The frames for our sheds use no screws or nails and can be built to the dimensions of your site. Basic sheds start at $18/square foot. 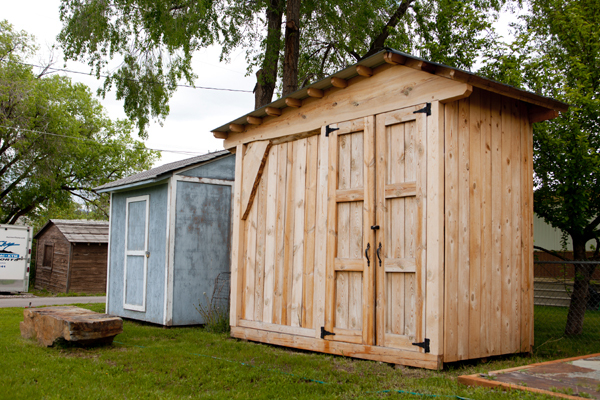 Pictured below is a tool shed located at the University of Montana’s food garden behind the Lommasson center. Builder: Braverman Construction. 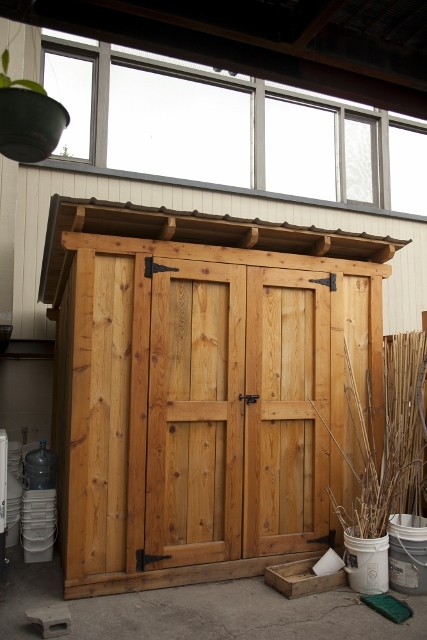 This custom shed features an 8-foot door for a ceramic kiln. Builder: Braverman Construction. 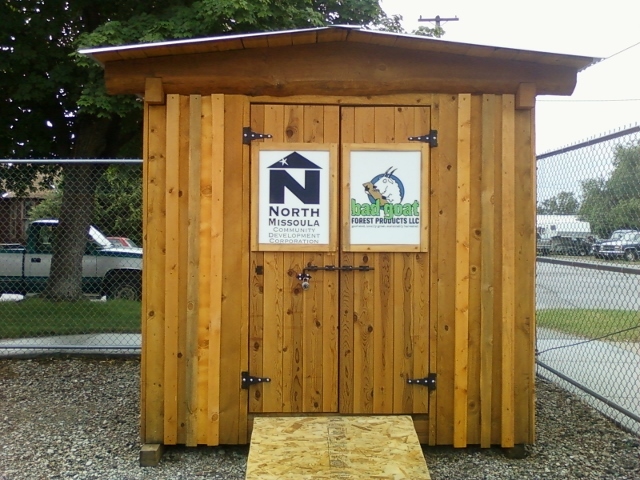 We donated the shed below to the North Missoula Community Development Corporation for the Northside Outdoor Cinema. Builders: Braverman Construction, Jack Rowan.